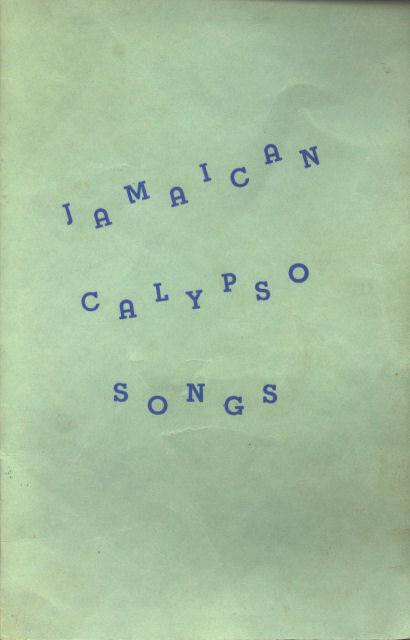 Below is "Jamaican Calypso Songs", a booklet probably from the 1950s with the lyrics to 15 songs. Though some are Trinidadian calypsos, such as "Rum and Cocoanut Water", many are Jamaican mentos. A few are not familiar, such as "Tower Island Magic". There are some interesting variations in these renditions. For example, the version of "Belly Lick" is quite explicit compared to any recorded version I've heard. 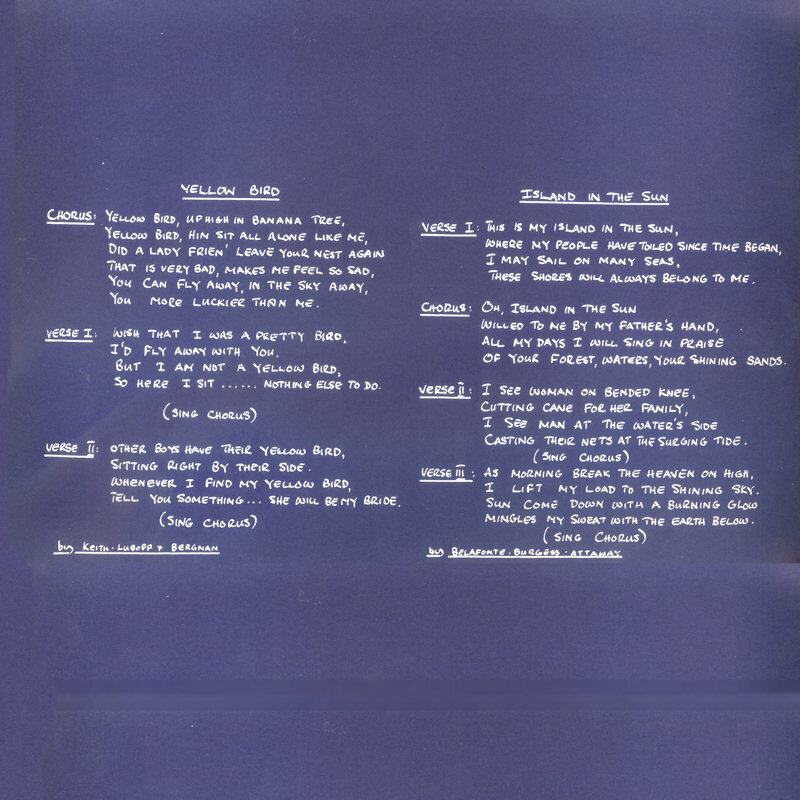 In addition to the booklet above, lyrics to mento and Jamaican folk songs can be found on various pages of this site. This page's cross reference below help you find them. Just click a song title to go to the lyrics. 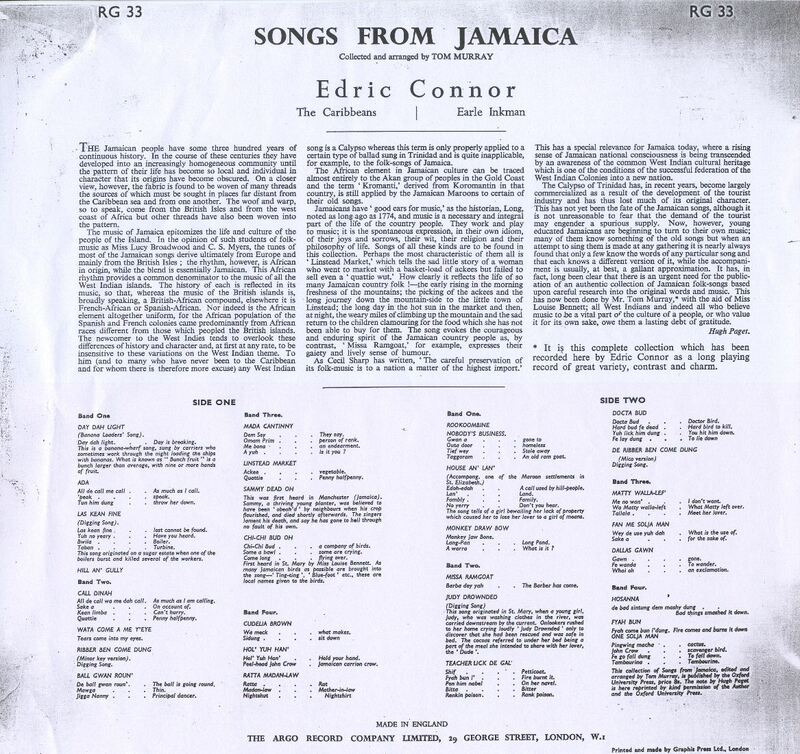 Also, take a look at this back jacket scan of Edric Connor's "Folk Songs From Jamaica". 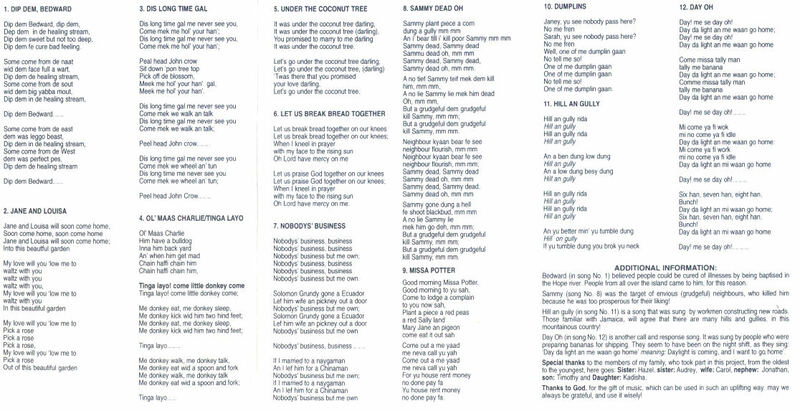 The CD compilation of golden age mento songs, "Boogu Yagga Gal" contains the lyrics to all 22 songs. The CD compilation, "Laurel Aitken... 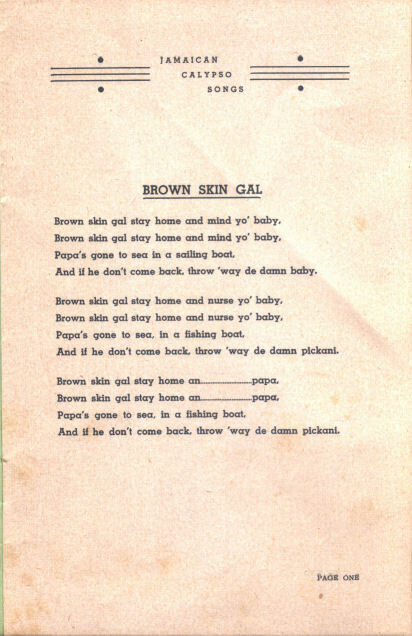 The Pioneer of Jamaican Music" contains 5 of Laurel's mento recordings and lyrics for all the songs.